We have found our way from the mountains of Colorado down to the coast of Texas. And even though we are dripping with sweat, we are having a really great time! Galveston is beautiful, and the kids are loving it. Right now I'm loving the AC in our hotel room. I grew up in central Texas, but lordy, lordy! This heat and humidity is not something us Coloradans are used to. I did manage to sneak some time away for this week's Monday Made It. 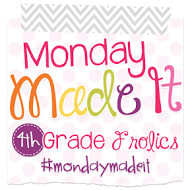 I love linking up with Tara from 4th Grade Frolics for this fun, weekly party! Make sure you head over to her blog and check out all the other great "made it's"!!! I'll walk you through the very simple steps to creating your own. 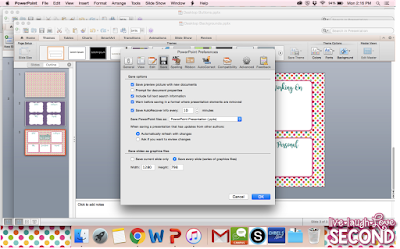 First, like I said, I have a MacBook, so this tutorial will use PowerPoint for Mac. Step 1: Open PPT. Change slide size to 17" x 10.6". Click OK when it prompts you to "fix" it. Step 2: Use digital paper to create a background. You could also change it to a solid color. 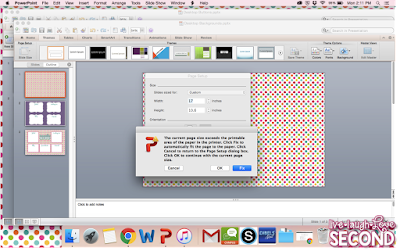 Step 3: Add clipart, shapes (I inserted rectangles), and text to meet your needs. I left room around the edges to accommodate my app bar at the bottom of my screen. 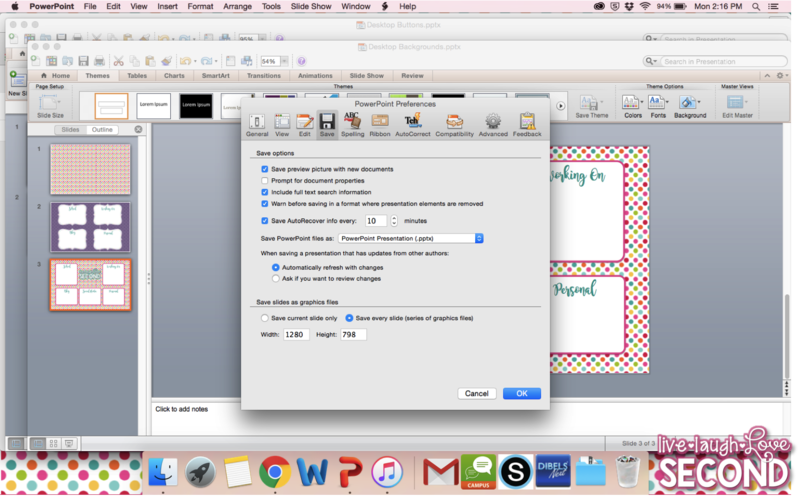 Step 4: Go to your Powerpoint preferences and change your graphics size to 1280 x 798. This will only be a temporary change until you save your file, so make note of your original graphics size. 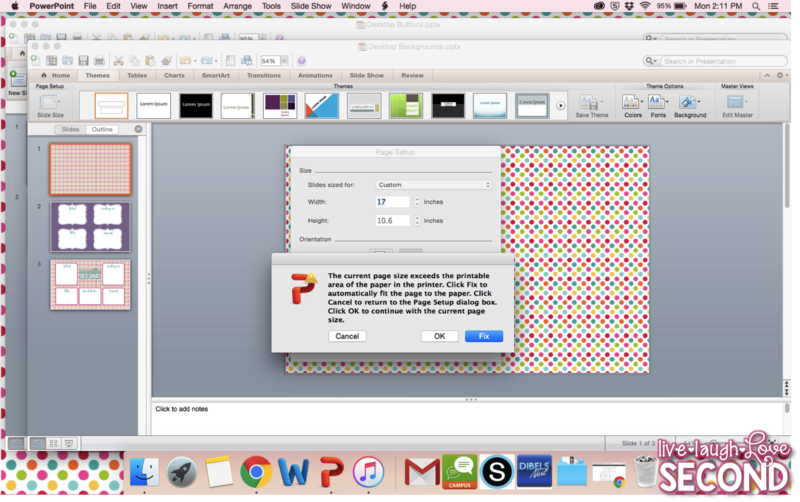 Step 5: Save your file as a PNG file. I would also save it as a PPT file...just in case you need to make any changes! Step 6: Go to your System Preferences, and then Desktop and Screensaver. To add your image into your library, click the + sign at the bottom. I clicked "fit to screen", but you can see which option works best for your image. Easy peasy! Click HERE to download a fun editable desktop background. 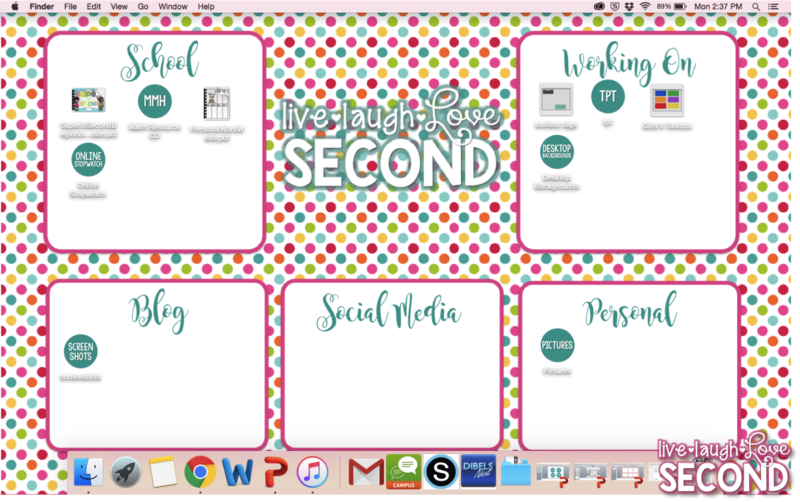 What fun would a new desktop organizer be without fun buttons to go along with it??? They're super easy. Usually I just find a fun picture I like online and use it, but I decided to give it a go at making my own. Step 1: Open a new presentation in PowerPoint. (Again, this is using a Mac!) Insert any shape you'd like. I did a circle because I liked how it looked. Then I added text. Step 2: Select the ENTIRE IMAGE and click COPY or Command C.
Step 3: Find the folder you're wanting to replace. Click "Get Info". 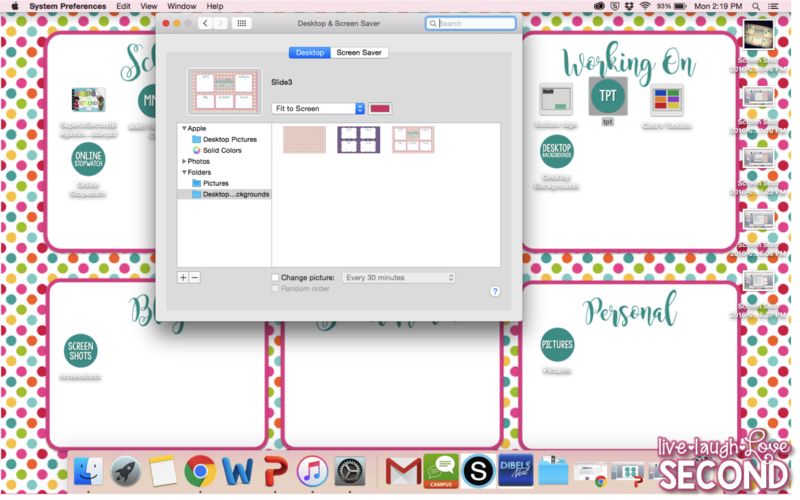 Step 4: You're going to click on that little folder at the top ONCE-just to highlight it. Then-click Command and V to paste the image where the folder is. The image should change immediately. There you go! Now you know how to make your own desktop background and fun buttons! It is super easy and the possibilities are endless. Let me know if you have any questions. As for me, I think my 3 year old is rested up from a much-needed nap and is ready to hit the beach. Have a great week! Thanks so much for the download! Super cute. I love how cute and organized this is. I need to do this. Thank you for the download! Hi! The font is called Magnolia Sky. It's one of my faves! Great tutorial! I tried to do this once...and still had junk all over my desktop! Maybe it's time to try again! I love your desktop organizer! I need to clean my desktop up again. Enjoy your vacation! This is fabulous. I never thought of making a desktop organizer. Thanks for sharing. Thank you for the download. I have been wanting to do this for a while.